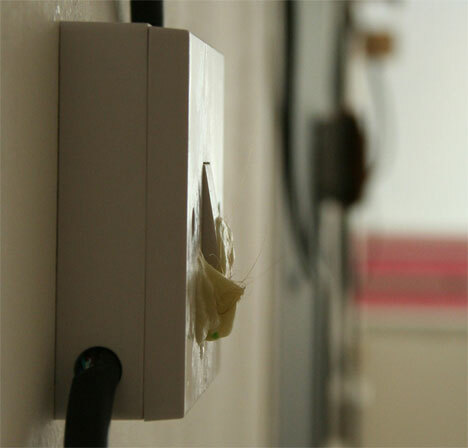 Could you be disgusted into using less electricity? 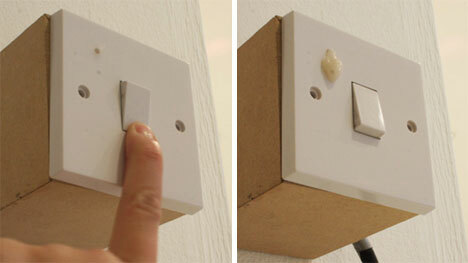 That was the hope of German artist Katrin Baumgarten when she designed a series of thoroughly disgusting wall switches. According to the artist, we use light switches in a subconscious manner these days, never actually thinking about the impact that little switch is making. But every bit of energy we use does have an effect on the planet, whether we realize it consciously or not. That is why Baumgarten strove to draw attention to the humble light switch: that most overlooked of household objects. Baumgarten designed a series of switches, all of which were disgusting in their own way. Of the most notable examples: one switch dispenses snot-like goo from a little hole in the corner as long as it is turned on. 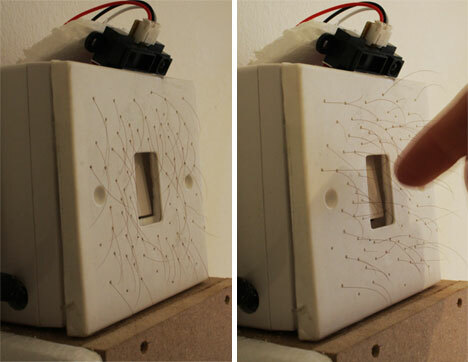 Another features wiry hairs that stand up as a hand gets close enough to turn the switch on. Mold, dirty chewed gum and good old plain dirt adorned other switches. Baumgarten set them up in a series with fourteen switches mounted on a wall. Above each was a virtual light bulb that flicked on when the switch was activated…but visitors had to get over the “yuck” factor first. Industrial design will probably never take us down the path of energy conservation via shock factor, but this project does give hope that we can reduce energy usage by simply making users more aware of their actions.